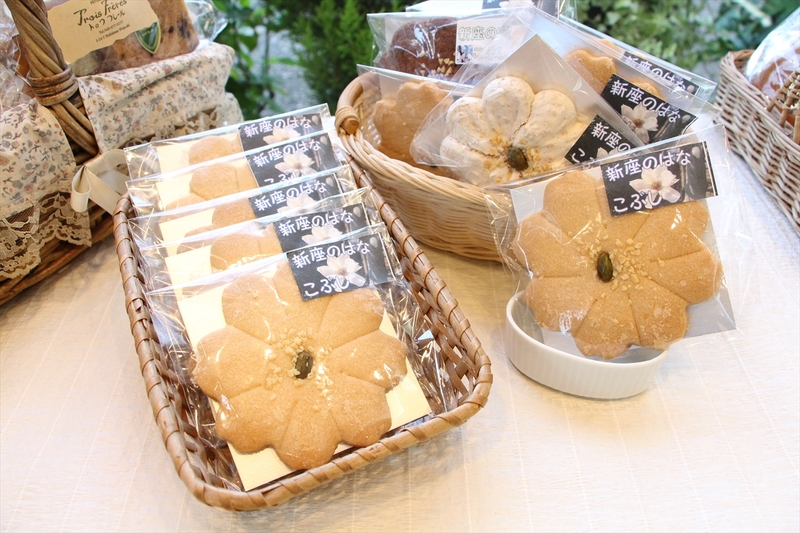 It is almond cookies with the image of the city of flowers fist. Finished with a cutting die of special flower shape of the fist, the surface has been decorated almonds and chopped pistachio that mimics the pistil and stamen. Kneaded almond poodle plenty plus three kinds of butter in the dough, and baked and crispy.